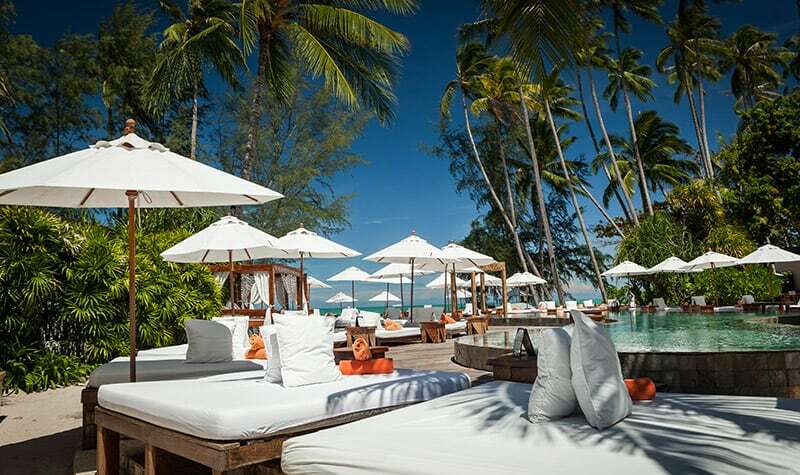 Nikki Beach Resort Koh Samui’s accommodations drew inspiration from Thailand’s natural splendour. This splendour, combined with the Nikki Beach international brand of luxury, created a resort in Koh Samui to meet every visitor’s desire. Nikki Beach Resort Koh Samui’s accommodations drew inspiration from Thailand’s natural splendour. This splendour, combined with the international brand of luxury, created a resort in Koh Samui to meet every visitor’s desire. Each incredibly designed penthouse, villa, guest room, and bungalow has the floor to ceiling window looking out onto the Gulf of Thailand, beyond a private beach and verdant gardens. The two pools provide two experiences. One is for relaxing reserved just for resort guests. The other is for the party lifestyle at the Nikki Beach Club & Restaurant. Every guest at the Resort Koh Samui has VIP access to the Beach Club as well as priority seats for special events. The Beach Club & Restaurant adds a special extravagant touch to its Beach Resort Koh Samui experience. At its infinity pool, live music and DJ events enhance the resort’s draw. Delicious culinary offerings create the centrepiece for beach parties.